I want to help you get published. I’ve had a lot of lucky breaks and opportunities in my writing career and one of my goals is to help other writers get published. That’s why I created the Annie Wilder Literary Agency. 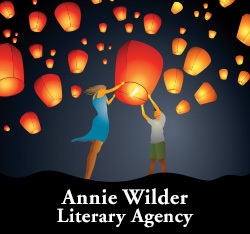 Thank you for considering the Annie Wilder Literary Agency. I added several new writers and projects in 2018, plus a few new clients in the first quarter of 2019 (writers that had been in the queue since late 2018). I now have a full roster of clients. I’m grateful to have this much business and want to maintain a high standard of service as the Annie Wilder Literary Agency grows, so I’m closing submissions for now. Paranormal: true ghost stories; cryptozoology; accounts of haunted places, objects or people; UFOs and aliens; time slips and other anomalous events; other similar explorations or firsthand accounts of the odd and strange. 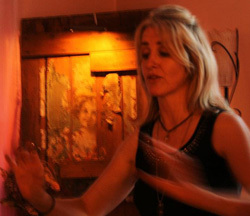 Metaphysical: intuition; energy work; cottage magic; faeries and elementals; herb, tree and flower magic; astral world exploration; dream work and interpretation; psychic development; spiritualism; reincarnation; divination; other explorations of the unseen world. • Send to: query.anniewilderliterary@gmail.com with the subject line: Query: (Your book title). • I will do my best to respond to queries within 3 weeks. Please note: For print books, most publishers are looking for manuscripts of at least 45,000 ~ 55,000 words. I’m looking forward to hearing your book ideas and reading YOUR work.